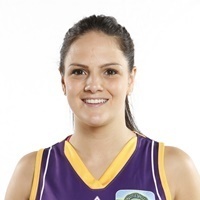 WNBL Clubs: Dandenong Rangers 2007 – 2010; Bulleen Boomers 2010 – 2012; West Coast Waves 2012/13; Melbourne Boomers 2013 – Current. WNBL Championships: (1) Bulleen Boomers 2011. Bio: Todhunter made the most of her opportunities as a rookie at the Dandenong Rangers, playing 44 games in her first two seasons before injury restricted her to just three appearances in the 2009/10 campaign. A move to Bulleen brought a WNBL Championship – the first in club history. After two years with the Boomers, Todhunter went in search of greater responsibility and found it at the Waves. The diminutive guard posted career high numbers in points, rebounds and minutes played.